Many indoor sports venues are choosing SWG ProGym™ for their facilities. Volleyball is a sport where you need much support down below the athlete. SWG ProGym™ provides a solid surface that is as responsive as a wood floor at a fraction of the cost and showcases the aesthetics of the product when assembled. The tile's positive locking system provides for easy assembly, with no adhesives needed. It installs over a sub-base, or an optional rubber underlayment may be inserted to further reduce impact. SWG Volleyball Court Tile is fully modular, so it can be dismantled for transport to another location. 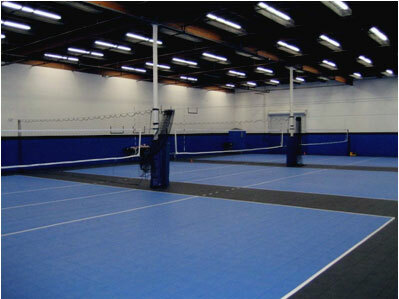 So when it comes time to choose your volleyball surface, choose SWG ProGym.